1. JLS (an initialism of Jack the Lad Swing) are a British boyband from London, who were runners-up in the fifth series of ITV reality talent show The X Factor in 2008, coming second to Alexandra Burke. 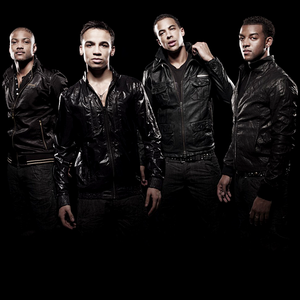 The group consists of Aston Merrygold, Marvin Humes, Jonathan "JB" Gill, and Oritsé Williams. The group have currently sold over 1.3 million albums worldwide.